We will review our mechanism prototypes, discuss next steps, problems, materials, tools, and design. 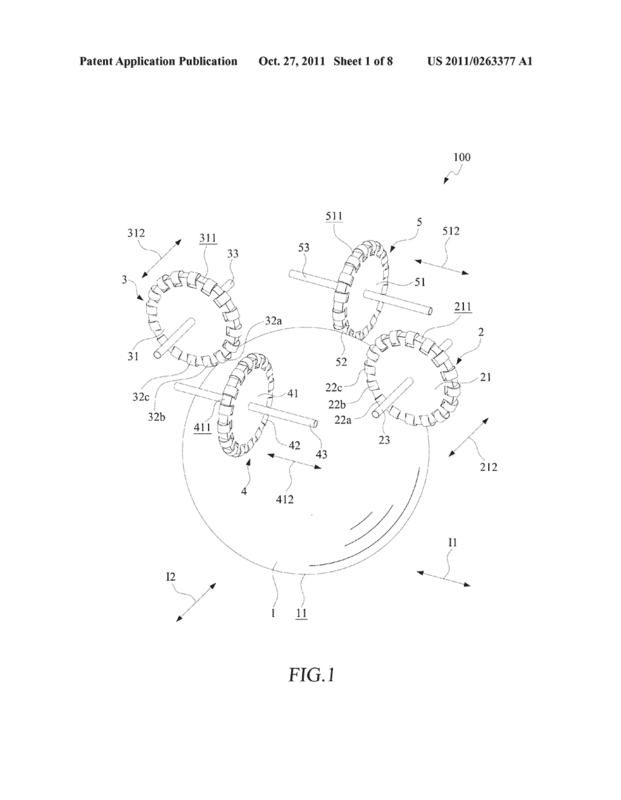 Also, we will explore more amazing mechanical assemblies. This weekend I got to see Arthur Ganson’s (one of my favorites) work in real life at the MIT Museum. What do we have so far? Where do we want to be in a week? What is holding us up? Do we have questions on materials? Are there tools or techniques that can get us further along? We can schedule some time on the Othermill, CNC, 4 axis, and metal lathe if we think this will help. Simple Mechanisms can get complicated fast when putting them together. 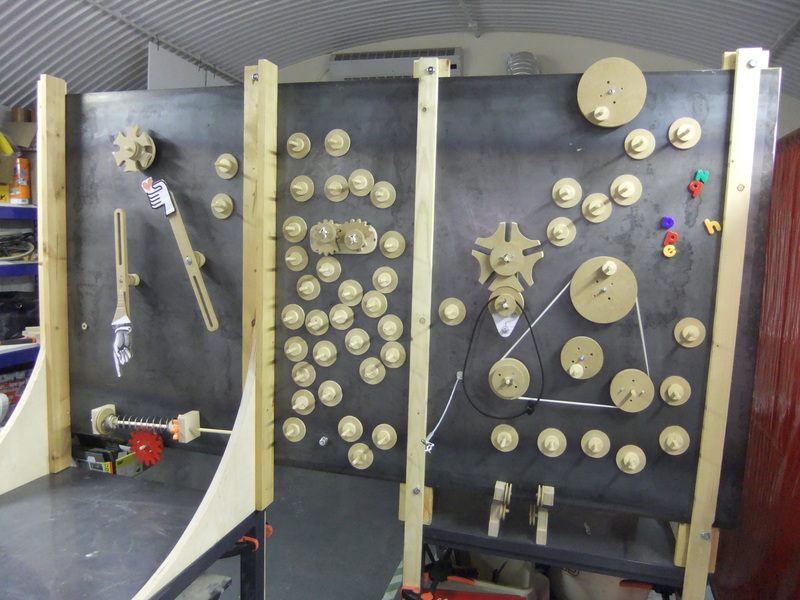 Simple Mechanisms can get complicated fast. Another reminder of potentially helpful hardware. Idler Shaft are great for securing pulleys, bearings, wheels, and individual cams. Tight Tolerance Shoulder Screw are great for securing pulleys, bushings, bearings, and individual cams. 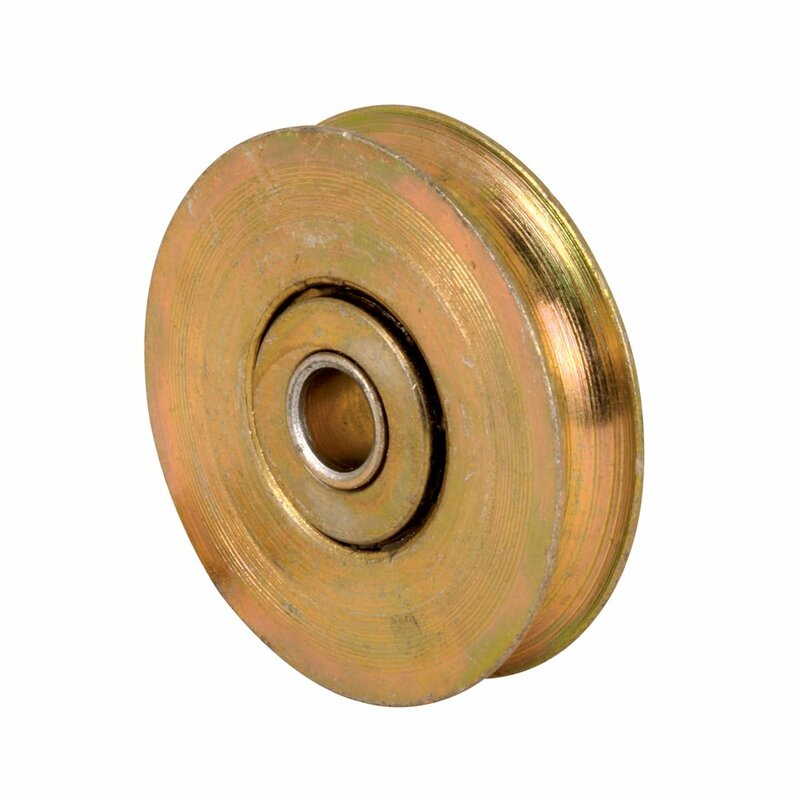 Prime-Line Products D 1503 Steel Ball Bearing Sliding Door Roller, 1-1/2-Inch, 2-Pack and 1-1/2 Inch Steel Rollers can be used with o-rings, belts, and rubber bands. The 1/4″ bore can be used with all of the 1/4″ hardware you have been provided. Lubrication – WD-40, 3 in 1 oil. If it needs to move, it probably needs lubrication. 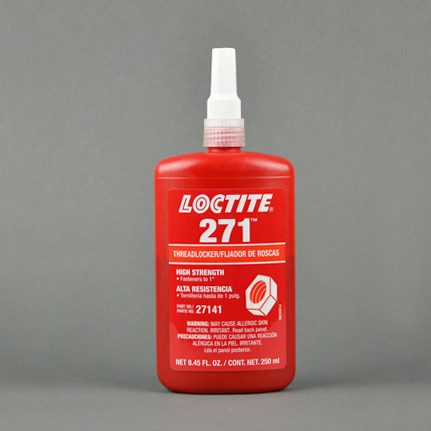 Loctite Red 271. If it needs to stay put, a little Loctite will probably help. Standoffs, using standoffs makes breadboarding mechanisms easier. Spacers, are a great way to get elements into proper position.